Isrealian artist Nirit Levav, represented by the Lucille Khornak Gallery, gives a new “leash” on life to upcycled bicycle chains in the form of whimsical and charming sculptures. 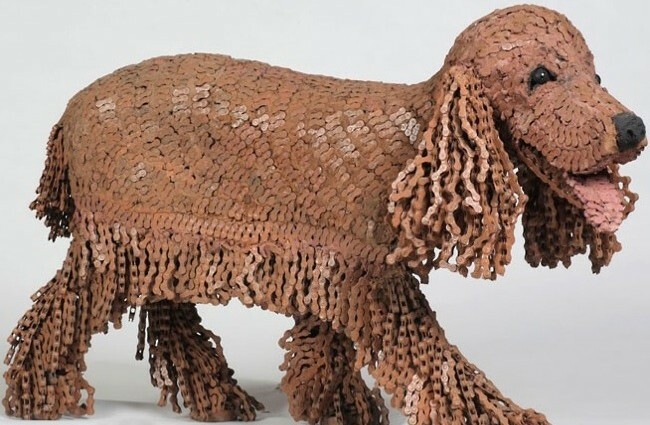 For dog lovers and art admirers alike, this is a must see event. Pricing on sculptures varies on size.